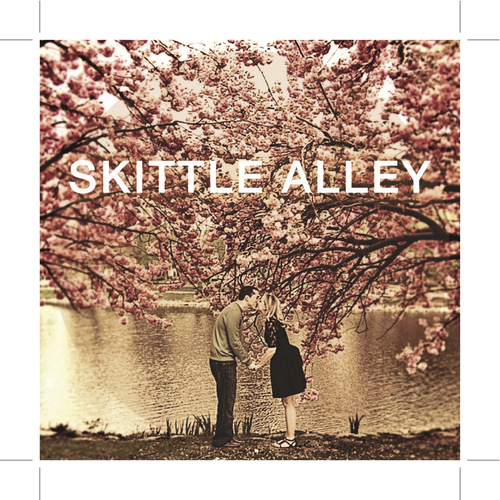 This is the title track from the American duo's new mini album which can be downloaded from their Bandcamp Page for a price of your choosing. A very strange record indeed. It's a new release on the Olde English Spelling Bee lable. "Brilliant submerged drum machine and low-end executions from the hugely influential Olde English Spelling Bee imprint housed in a heavy card jacket* After a while out of the game, the most influential label of the hypnagogic epoch returns with an unsettling debut album by Thought Broadcast. Named after an early symptom of schizophrenia whereby sufferers "describe their thoughts being broadcast, or available, to others", the mood of 'Thought Broadcast' is suitably paranoid and confounding, with an aesthetic clearly harking back to the late '70s/early '80s Industrial music of Maurizio Bianchi, The New Blockaders or Coum Transmissions/Throbbing Gristle. Blunted drum machines, acid-gargled vocals and disintegrating tape loops are heard through fathoms of ferric noise. Everything is monotone grey and primal as possible, struggling for survival in a noxiously polluted sound world while constantly under pressure of its own psyche and unable to make sense of itself. Tape loops are manhandled, prodded onto the tape head and smudged at oblique angles to disturb the effluent flow of slow drying concrete and sewer juice. If Vinyl On Demand had pulled this out and said it was from '79, we'd probably have believed them, but it's actually new stuff. It's definitely made for acquired tastes and we don't think it's going to convert many to wearing trenchcoats and a scowl, but if you've had faith in Todd Ledford's taste up until now - his label's probably introduced you to James Ferraro, Rangers, Ducktails - then it's definitely worth your time. 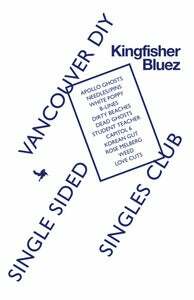 Recommended to fans of Nate Young, Mr Maxted, Aaron Dilloway, Henry & Hazel Slaughter, Maurizio Bianchi…"
This is a taster of what you can expect if you subscribe to the Kingfisher Bluez single sided singles club although I'm not sure whether this track will crop up on vinyl. In exchange for eighty dollars you will be presented with thirteen slabs of seven inch vinyl over the course of a year by the likes of Apollo Ghosts, Needles//Pins, White Poppy, B-Lines, Dirty Beaches, Dead Ghosts, Student Teacher, Capitol 6, Korean Gut, Rose Melberg, Weed and Love Cuts. This is the debut single from Ostiler Okon which will be released later in the year. Back in 1992 Jeff Mills released his masterpiece. I know he's done loads of great stuff since but "Waveforms Vol 1" will always be the thing most people (well me anyway as I don't get out much) think of as a defining moment in electronic music. The original was released as a double vinyl LP with a lovely black sleeve on the Tresor label and twenty years on it's back and sounding just as mean. Interestingly apart from the vinyl re-issue you can also purchase it on memory stick (pictured above) which is an interesting development as far as formats are concerned and should you prefer this digital version you will be treated to four exclusive tracks which do not appear on the vinyl versions. This record may be almost a quarter of a century old but in many ways still sounds relevant today and in fact I wish a few more people would try and make a record like this. This is the title track from the New York artist's new six track E.P. of the same name which will be released on 11th September. Very nice indeed. Also from New York come Butter The Children who make a very nice noise indeed. This track is from their debut E.P. which can be downloaded in full further down this page. Treat yourself. Taken from the Australian trio's new album "It's You" which will be released on Not Not Fun records at some point this month. One of three excellent tracks on a new E.P. from Milano on the Twin Turbo label. Taken from the album "Just A Kiss" which is available for just £3.50 from the Dufflecoat Records website. I've been meaning to include a Candidate track for weeks but seem to keep forgetting (sorry guys). "City Of Hate" comes from the New York Band's new album "Psychic Dissonance From The Unself" which will be released on 13th September. Taken from the album "Death And Vanilla" which is available from the Death And Vanilla bandcamp page on limited edition white vinyl. I'm told there are only two hundred copies so you might want to be a bit lively.